I’ve been traveling a bit this summer and summer is definitely in full force everywhere I am! When I left Los Angeles, we had 115°F. Albeit a dry heat, it was still really, really hot. Shortly thereafter, I made my way to Atlanta where it was nearly 95°F…not 115°F for sure, but with high humidity, I think it feels even hotter. As I write this, I am sitting in Manchester, New Hampshire, where today it was over 90°F with crazy humidity, which means the mosquitos are out in full force. I think I got at least five bites going from the house to the car last night. So, needless to say, while I love grilling during the summer months, sometimes it’s nice to stay inside with the air conditioning running in full force. Also during the summer, I like meals that are a little lighter and don’t weigh you down. That’s where this recipe comes in! It is the quintessential summer meal. Light and healthy, zucchini noodles take the place of pasta, but still give you the satisfaction of al dente pasta. Just make sure you don’t overcook them! Literally, one or two minutes in the pan, that’s it! They’ll turn a nice vibrant green and you’ll know they’re done. No more than two minutes, though…otherwise, the zoodles will get limp and watery…which is no good for pasta and it’s equally no good for zoodles. In preparing the chicken, I like to use boneless, skinless chicken breast and slice it into strips going across the grain. Then we get to dredge the chicken. As you see in the video, since I was only doing a small amount, I did each piece individually. If I’m working with more chicken, I like to get a Ziploc bag and add the chicken and the flour to the bag and shake it like crazy until the chicken is coated with flour. Then shake off the excess flour when you take the chicken out of the bag. Truthfully, this technique works great even with smaller batches too. Just a couple of notes about the cooking. I remove the chicken and the tomatoes when I deglaze the pan, but by all means, you can also deglaze it with the chicken and tomatoes in the pan. That makes it a touch easier, but whatever your preference. As for thyme, if you have fresh thyme, great use it! I am always for using fresh herbs. But if you don’t, no worries…you’re still going to get the great thyme flavoring. I was fortunate enough to demo this recipe on the Hallmark Channel Home & Family Show. It was such a great experience…if you missed it, you can check it out HERE! 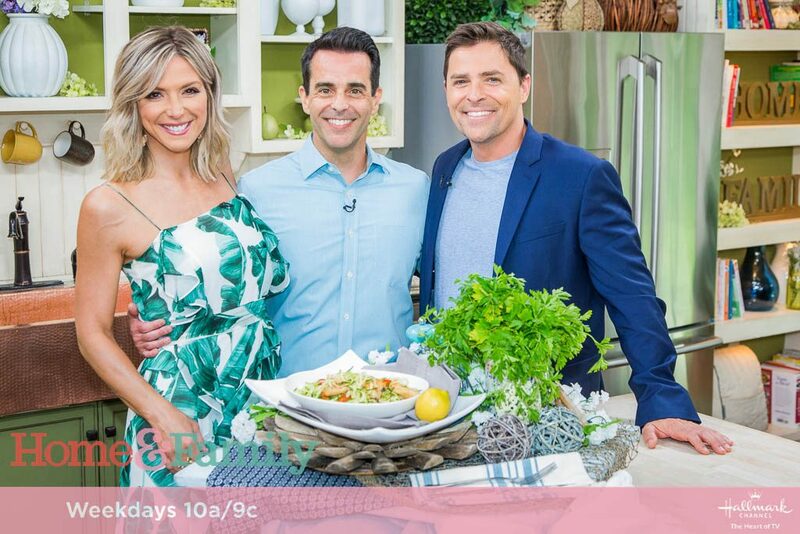 Debbie Matenopoulos is such a pro to work with in the kitchen and if you haven’t checked out her cookbook yet, you can grab a copy right here: It’s All Greek to Me: Transform Your Health the Mediterranean Way with My Family’s Century-Old Recipes ! She has such wonderful family recipes in there! But it was great working with her and Kavan Smith, who I know you know from all those great Hallmark movies. I am a sucker for all those movies…and I can’t wait until Countdown to Christmas starts this year!! Debbie Matenopoulos is joined by guest co-host and Hallmark star Kavan Smith. Actors Eddie Cibrian and Rachel Bilson from ABC’s “Take Two” visit our home. Actress Katie Stevens talks about Freeform’s “The Bold Type.” “Once Upon a Farm” author, country music singer-songwriter Rory Feek is here. Chef Alejandra Schrader prepares yummy Venezuelan yucca buñuelos. Our Best Home Cook finalist, chef Michael Fucci makes zoodle lemon chicken. Parenting expert Dr. Deborah Gilboa, aka “Dr. G,” discusses when we should say “yes” to our kids. Kavan makes delicious arancini. Paige Hemmis has a DIY hanging herb garden and a DIY popsicle stick Christmas tree. Our family members share their favorite summer party products. Credit: © 2018 Crown Media United States, LLC | Photo: jeremy lee/ Alexx Henry Studios, LLC. The entire experience was fantastic, and the cast and crew could not have been more welcoming! Hope to be able to make it back there soon with a new recipe! Until then, I hope you’ll try my Zoodle Lemon Chicken. 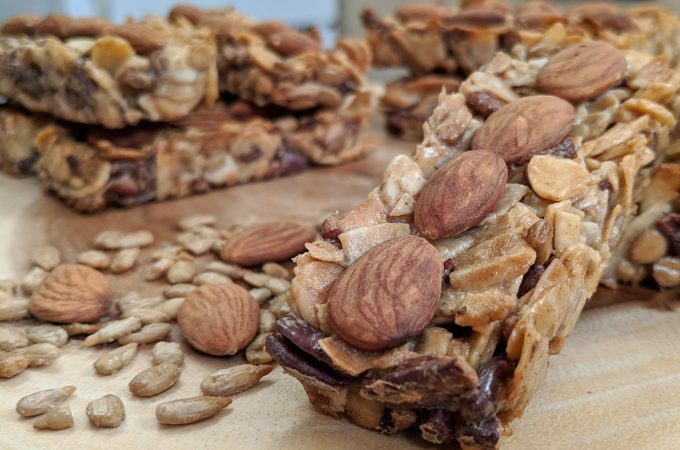 It is a recipe I am really proud of because it’s one of those that just seems to work. 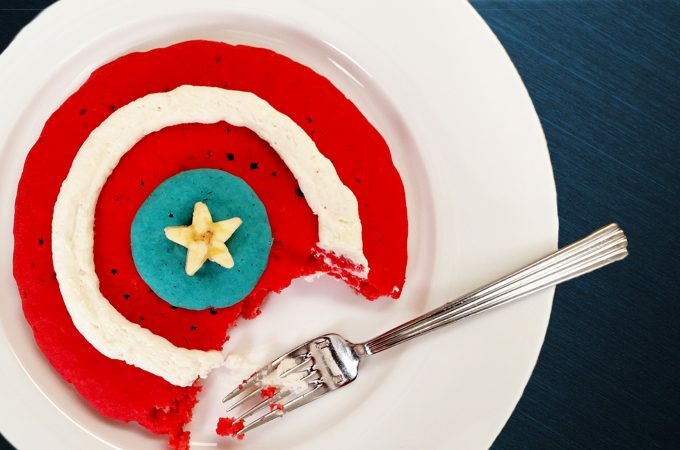 Not to mention, it doesn’t take a ton of time to make. 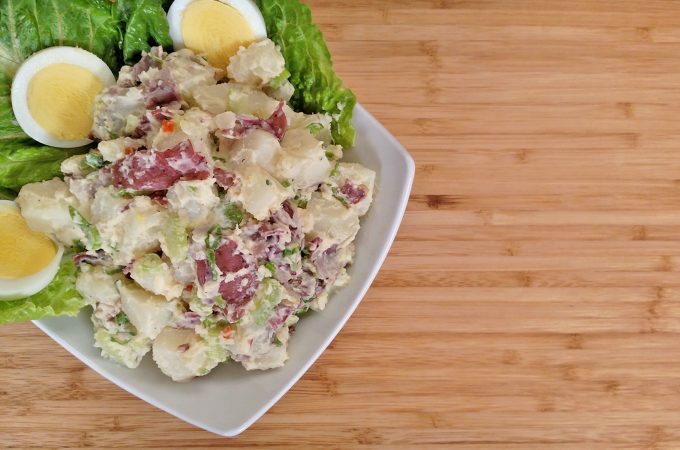 As seen on Hallmark Home & Family, this is a fast, easy and healthy dish that’s perfect for summer! 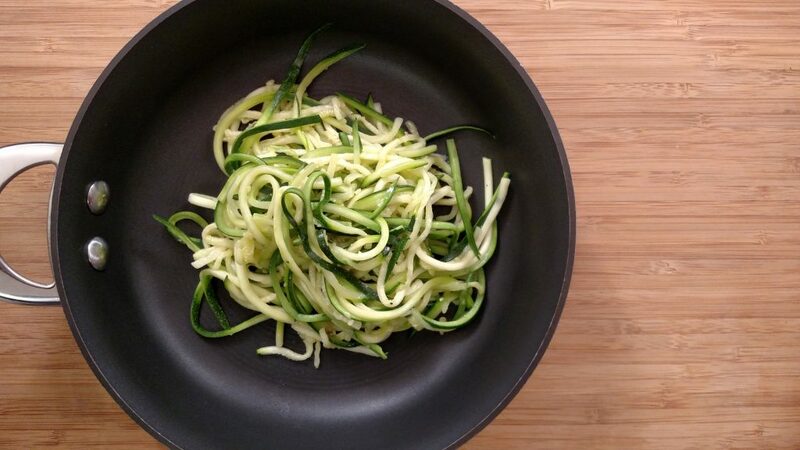 Using the julienne attachment of the Mandoline, create Zoodles lengthwise from the zucchini. Smash two cloves of Garlic with knife. Cut the third clove into very thin slices. Cut the chicken breast into strips across the grain. Season with salt and pepper and dredge chicken in flour, shaking off excess flour. In a Sauté pan over medium heat, add Olive Oil, Zoodles, Salt and Pepper. Sauté for about a minute or so until the green color becomes vibrant. It is just a flash in the pan, so that the noodles still have some bite to them and so that they don’t become overly watery. Remove from pan and set aside. Wipe out and thoroughly dry pan using a paper towel. In dried Sauté pan over medium heat, add Olive Oil and the 2 cloves of smashed Garlic cloves (Note: DO NOT add sliced garlic). Cook until garlic starts to brown so that the olive oil is infused with garlic. Remove Garlic from pan. Add the dredged Chicken. Sauté until it starts to brown. Push chicken towards the side of pan so there is room to add the Tomatoes. Add Tomatoes. Cook until tomatoes start to soften and release some of their juices. Remove Chicken and Tomatoes and set aside. (Short cut: if you prefer, you can deglaze the pan without removing the Chicken and Tomatoes. Deglaze the pan with wine and about 1 Tablespoon Lemon Juice. Add Thyme and Sliced Garlic. Reduce by about half until it starts to thicken. Add Chicken and Tomatoes back in. Add a bit of the parsley and lemon zest (reserving some for garnishing). Mix together. 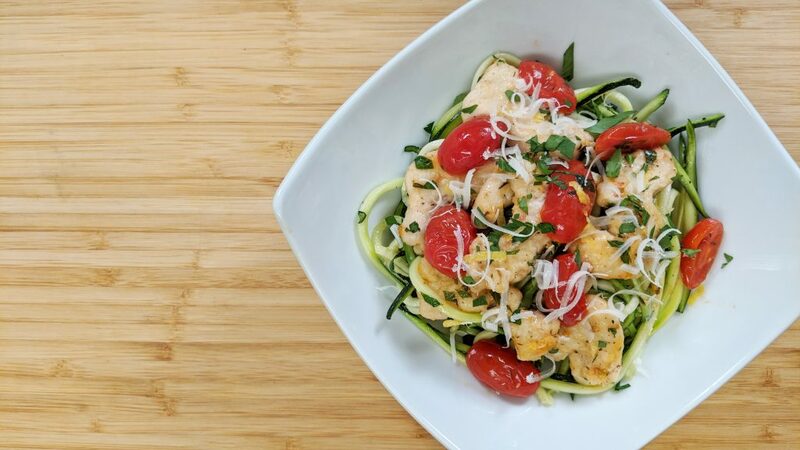 In a bowl, serve Chicken and Tomatoes over a bed of the sautéed Zoodles. Garnish with more parsley and lemon zest. Top with shaved Parmesan Cheese.